This book is one of four traditional rhymes translated into Te Reo in this series. Oscar the Bear and Ruby the rabbit tell this rhyme. An obliging real hen helps at the end of the book. 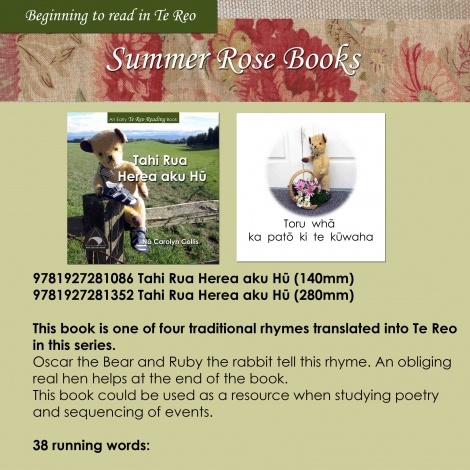 This book could be used as a resource when studying poetry and sequencing of events.